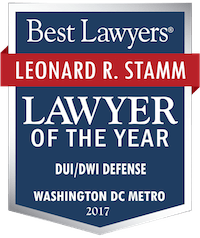 Sentencing in DUI cases Category Archives — Page 2 of 2 — Maryland DUI Lawyer Blog Published by Maryland DUI Attorneys — Goldstein & Stamm, P.A. Every year the Maryland legislature is bombarded by MADD, the Maryland State Police, and the States Attorneys, and are asked to strengthen Maryland’s DUI laws. Every year the DUI laws get strengthened, they never get made more lenient. This year they made a number of changes regarding ignition interlocks that raise some serious questions about how they will be implemented. 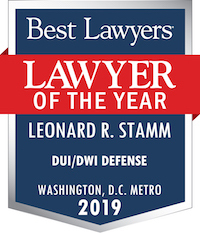 was younger than age 21 and violated the alcohol restriction imposed on the driver’s license or committed the specified alcohol-related driving offense. These ignition interlock restrictions run for six months for a first ignition interlock restriction, for one year for a second ignition interlock restriction, and three years for a third or subsequent ignition interlock restriction. Failure to comply leads to a one year suspension of the license or privilege in Maryland, after which the driver must still comply with the program in order to get a drivers license. However after 45 days of the one year period the driver may be readmitted to the ignition interlock program. live out of state or because they do not own a car. The new laws do not explain how the MVA is supposed to handle that situation. Additionally, drivers of commercial motor vehicles who need a commercial drivers license (CDL) may also be out of luck under the 2011 laws. 20 years ago it was not uncommon to for a person convicted of automobile manslaughter to avoid going to jail entirely. Sentences in cases we have handled have ranged from zero to 18 months. This week the Washington Post reported that a woman was sentenced to serve 20 years for automobile manslaughter for a drunk driving accident that resulted in 2 deaths. Serrette sentenced Mate to 20 years in prison — more than sentencing guidelines called for and a year less than the maximum allowed by law. The judge acknowledged that Mate had been sexually abused as a child and suffered from alcoholism. But Serrette stressed that Mate had twice before been convicted of driving while intoxicated and shouldn’t have been behind the wheel that night because her license had been suspended. “You had repeated wake-up calls that you ignored,” Serrette told Mate. Her actions had destroyed three families: those of the victims and her own, the judge said. This sentence exemplifies a trend to punish drunk driving and bad driving more harshly across the board and illustrates the importance of getting the best legal representation one can afford. In a growing number of states including California, Alaska, New York and MIssouri, fatal drunk driving accidents are now prosecuted as murder. A Phoenix man received a 20 year sentence for his 6th and 7th felony DUI offenses – no one was killed or hurt. A Denver woman received 15 years for a fatal drunk driving accident last year. A Waco man received a life sentence for his 9th DUI since 1984. In Maryland, if the defendant pleads guilty or is found guilty after a trial, sentencing usually takes place immediately. The judge has already heard the facts of the case. At this point the judge wants to hear something about the defendant, including but not limited to: age; educational background; family situation; employment; and most importantly, whether the defendant has been assessed by a state certified alcohol counselor to determine whether the defendant has a drinking problem and has begun or completed the recommended program. The assessment is made using standard screening tests, including the Michigan Alcohol Screening Test, also known as the “MAST” test, and others. On a first offense, offenders assessed as a “social drinker” are normally recommended to complete a 12-hour class. This is usually spread out over six weeks, with six two-hour evening sessions. Offenders assessed as a problem drinker are usually recommended to complete a 26 week program. If the defendant thinks it is unlikely he or she will want to take an appeal from the guilty finding and is requesting probation before judgment, also known as “PBJ,” then the defendant should probably make a short statement of remorse, and indicate the steps being taken to ensure that something like this will never happen again.